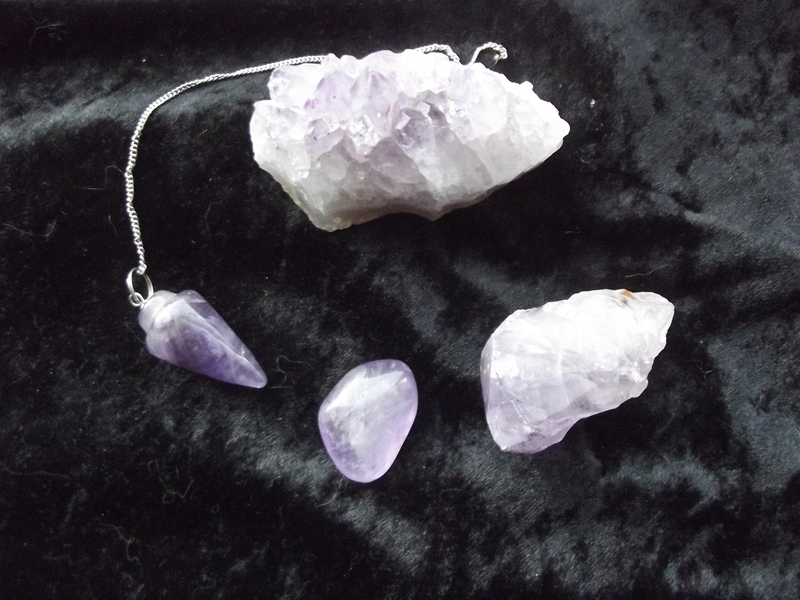 Photo shows Amethyst geode, pendulum, tumbled and rough. 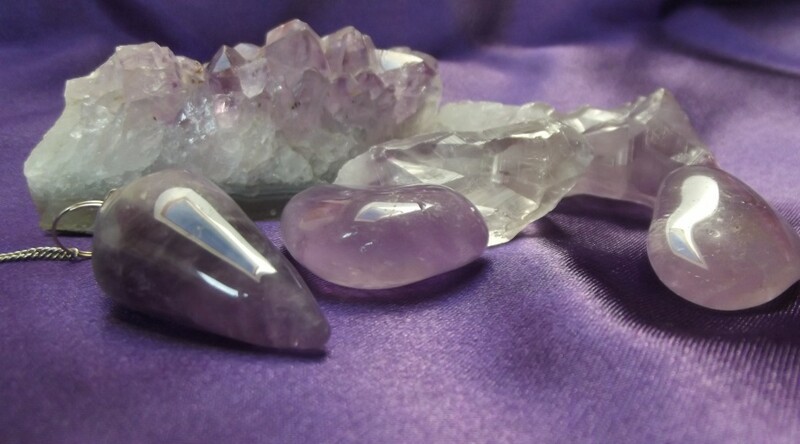 Amethyst is one of the Quartz family of crystals and is purple in colour. Relating to spiritual and higher self. Can be used on the crown or the third eye of the chakras in crystal healing. I have been working experimentally with crystal, working out how they work before looking it up. Amethyst was brilliant to work with and did prove to be very useful. When using it in crystal healing, I have been placing it on the third eye. My client said that it hurt a little to start with then the pain left as the healing ended. The following week this person found themselves smoking and drinking less. When I looked up the crystal in one of my books it said that it is known for helping people with additions, especially alcohol related.